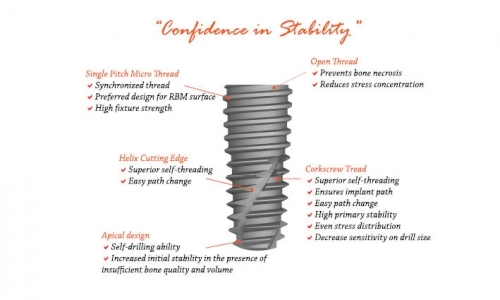 Our company is a leading solution partner in the world offering DENTAL IMPLANTS including a combination of 2 different implant systems with “SCREW” and “PRESSFIT” types. Our products are developed and manufactured in compliance with the European standards together with our SWISS, AMERICAN and KOREAN Solution Partners. Our Quality System Management Certificates are; FDA, CE, ISO 9001:2008, ISO 13485:2003, TS ISO 10002:2006.